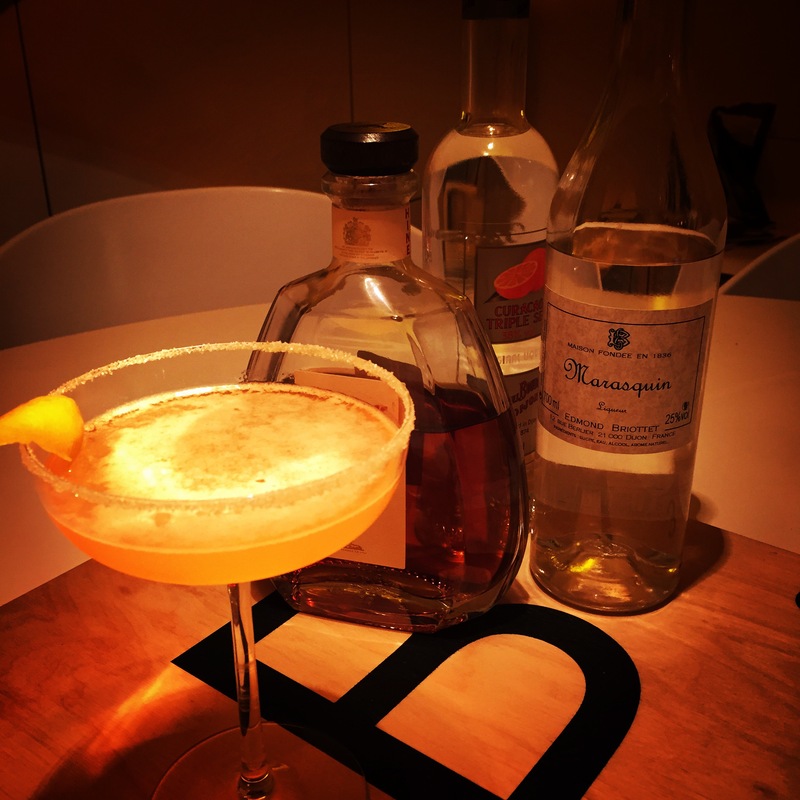 The Martinez is a very old drink. Many regard it as the forerunner to the Dry Martini. It can be found in O. H. Byron’s 1884 Modern Bartender, where it becomes a Manhattan variant; other stories have it named after the mining town of Martinez. Cocktail historians suggest it ought to made with genever, rather than modern dry gins, as this would have been the drink available in America at the time the cocktail began to appear. On the face of it, this is simply a Manhattan made with gin. But there’s more to this drink than that, especially in the modernized ‘dry’ version I mixed here.. The dry gin I used, Gordon’s, has plenty of citrus notes, and that marries really well with the herby notes in the sweet vermouth (Martini Rosso). An added complexity is a bar spoon of maraschino coupled with some dashes of bitters (I used my ‘house’ Bt bitters, as their sour cherry note seemed like a match). 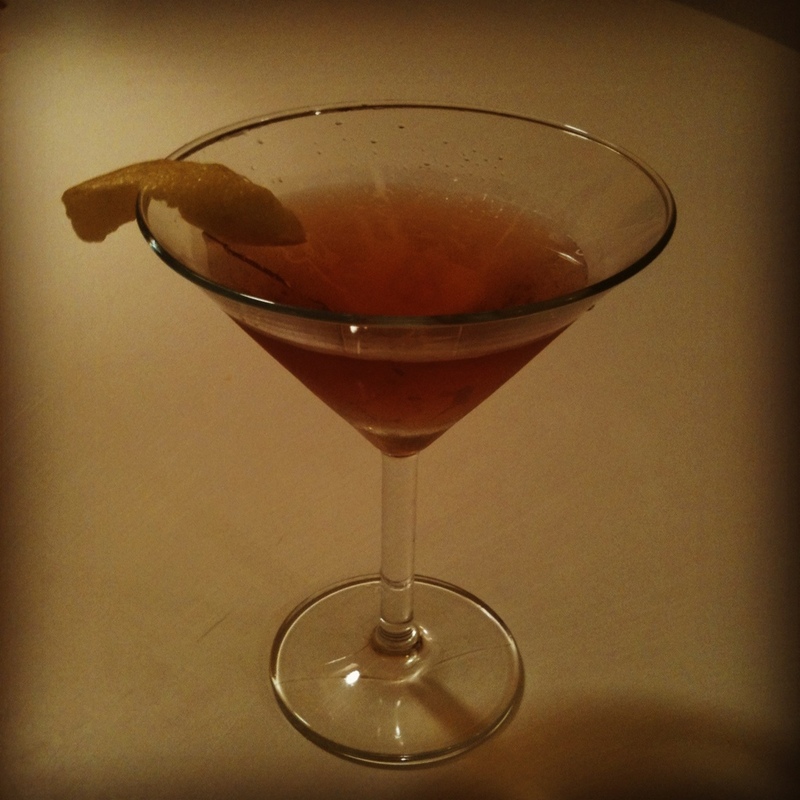 The results are really intriguing; it really isn’t just a gin Manhattan, but something else altogether. Frankly, if you didn’t know it contained gin, you might be hard pushed to spot it. Certainly, I wouldn’t omit the bitters or the maraschino, both add important notes to the final mix, and I would use a robust, dry, bitters recipe (Fee’s Orange bitters might be too delicate for this, for example). Stir all the ingredients together in a shaker, then strain into the Martini glass. Garnish with a piece of lemon zest.